First things first. If your idea is confidential, we can provide a company NDA or sign your own… then we can chat about your concept and find out exactly what you envision developing. The single most important stage of development. We take a few hours to pick your brain get a detailed understanding of your concept. From there we will spend another 10-55 hours creating a detailed scope, including exact functionality requirements & a feasibility study to find out more about the technical details, research into competitors and a concise wire-frame for the layout for your app. The biggest mistake people make in development is during the scoping phase, so it's absolutely crucial that we build a scope that shows us exactly what we're building… that way development is a breeze! Application design is all about saying more with less, and creating user experiences that entice people to keep coming back. At MyAppsDeveloper, you wouldn't believe how seriously we take this. In 2012 we've seen a focus on Bold, Primary Colors and Gradients With Minimal Gloss as well as Smooth, Clean Gradients and Shadows for Depth. In terms of font selection, our current usability testing is showing thin Sans Serif Fonts are best as smart phone resolutions continue to rise. At MyAppsDeveloper, all our Australian clients work one-on-one with award winning artist Pavel Povoroznuk to produce a beautiful interface for their app. Our development process is something we're very proud of; just like the design process we believe in complete transparency and you can get daily updates in seconds of the progress of your application. We've also designed the process for clients who want to be hands-off or hands-on during the process. Using the scrum methodology, we are able to combine solid planning with flexibility our expert developers require to produce creative & innovative applications for our clients.During the entire process of development, you'll have direct access to our experienced project managers if you have any concerns. If you're serious about launching an application to reflect your brand then you need to make sure that it works and has zero bugs. At MyAppsDeveloper we do both integration & system testing throughout development. Unlike some developers who believe "having a play around" is enough to test an app; we believe your investment deserves to be flawless. Our process includes testing for accessibility, running with background application functionality (Push, Safari, iPAD and mail), limited Internet connections, low memory situations & boundary tests on input forms. In short, we make sure your app works before we even think about putting it online. Launching your app is an exciting time, except you need to make sure you do it correctly. One of the critical stages is writing a powerful description that will get you downloads. Being able to convey your value by standing out & stressing the benefits of your app is critical. Bart, our copywriter will work with you to craft a powerful and compelling description & we will then work to get your app approved. If Apple doesn't approve you initially; we've never had an app we couldn't get approved. 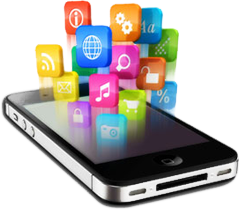 When you work with MyAppsDeveloper, we always try to build a long term relationship where we can assist you as the exciting mobile industry evolves. For a full year you have 100% free support, which our clients love!